It may not be my favorite thing to do, but running in the heat is just part of my training. I actually like running in the afternoon and I don't mind running in the heat if the route is short and I keep the pace nice and slow. 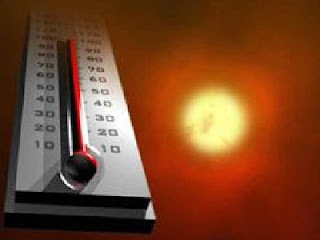 Today, the heat index was topping 106 and there was a haze in the air. On top of that, the city workers were cutting the grass on the road I was running (which made the air even nicer). 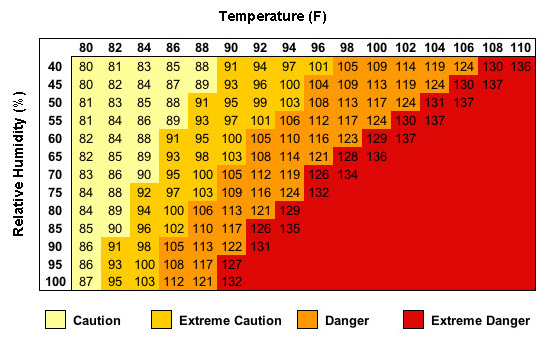 Runner's World - Heat Advisory - This was in the last issue and covers just about everything. 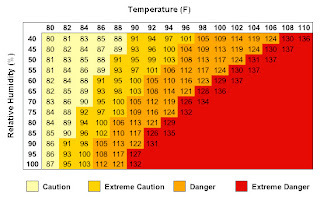 RunnerDude - 10 Beat the Heat Tips for Runners - My favorite Blogger. Coach Greg - Lordy, It's Hot Out There! - My running coach. Active.com - 6 Tips to Run Through the Heat - Only six tips so its short. Knol - Running 101 - Running in Heat and Humidity - A little technical, but very good. I have learned several things from all of these articles and have slowly built up my tolerance to the heat (this helped during my 50K on June 25th in Beaufort, SC - still brutal though). I also pay a lot of attention to how I am feeling before, during and after my really hot runs. I am still learning and would never compare my knowledge with the people I listed above. I leave it up to the experts to give specific advice on this topic. If you know of other articles feel free to add them to the comment section.